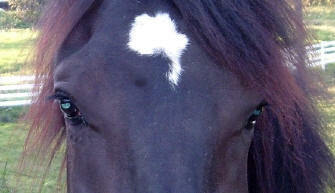 is beautiful, looks very very Friesian! I just wanted to send you a note and say THANK YOU!!! for my wonderful girl. Princess Lucasia has long since settled in and became good friends with my other horses. She is spectacular! At only a year and a half, she's already 16 hands and filling out beautifully. She is a joy to have in the barn. She loves people and handles everything in stride. 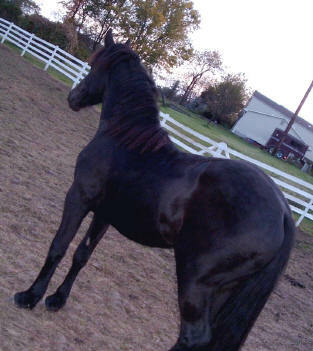 I was nervous about purchasing my first yearling, but she is fabulous! She's better behaved than my 10 year old most of the time! She's wonderful for the farrier, follows me like a puppy with and without a halter, trailerloads and comes when she's called. I've attached a few photos for you; Thanks again for breeding the best of the best!